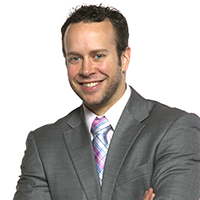 Justin Weissert is a Director of Professional Services with CrowdStrike Services, where he leads the proactive and strategic services offerings for the organization, as well as serving as the east region lead. In this role he is responsible for developing, enhancing, and delivering industry-leading services across the spectrum of strategic and technical advisory offerings. Additionally, Justin has responsibility for new business development, internal corporate partnerships, team leadership and growth, engagement management, and thought leadership. Justin has over 12 years of experience in information security, cybersecurity, and incident response.Prior to joining CrowdStrike, Justin spent seven years with KPMG LLP. He left as a Manager in the Information Protection and Business Resiliency practice, where he maintained a specific focus on information security strategy and governance, and risk management. Additionally, Justin was part of the Identity and Access Management Center of Enablement leadership team, and also supported the development of the firm’s Social Media practice with an emphasis on next generation technologies and risk mitigation strategies.Over the course of his career, Justin has managed all aspects of information security, with a specific focus on cybersecurity and incident response. His knowledge in these areas includes both technical and strategic competencies to assist customers in understanding their overall risk profile, with an ability to advise executives on how best to mature their security program given their corporate culture, industry/peer comparisons, strategic objectives, and threat landscape. Justin has assisted some of the largest, global Fortune 100 organizations across the all industries, having briefed boards and executive committees alike.Justin regularly contributes to the CrowdStrike https://www.crowdstrike.com/blog/">blog, delivers conference and industry presentations, presents at customer and partner events, and supports independent publications including industry blogs, podcasts, news articles, and more.